Water damage can be caused by a multitude of issues including busted pipes, the washing machine overflowing, dishwasher leaks, clogged toilets, leaky roofs, or even natural causes such as heavy rainstorms, floods and ice dams. 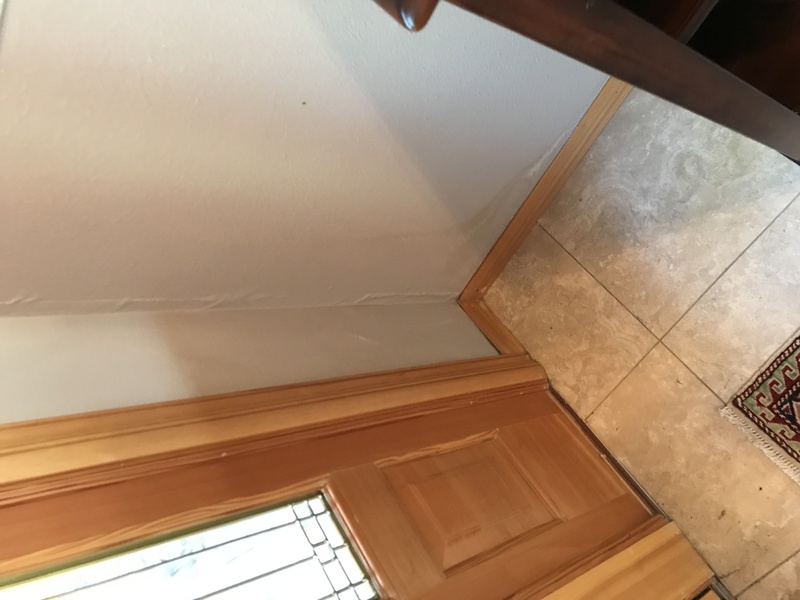 Regardless of the origin, water intrusion in your house can cause wood rot, bacteria growth, rust, de-laminating materials and more. Pretty scary, right?! 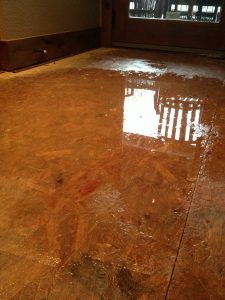 Well, water damage in your home is not something to take lightly. It’s not recommended to wait for a “convenient” time to start the clean up process. 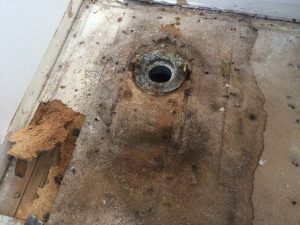 By the 48-hour mark, any stagnant water can lead to bacterial growth and many items in your home will need to be replaced. 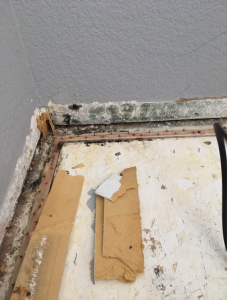 Mold is a very serious health risk that can cause even more damage to your house and your family. 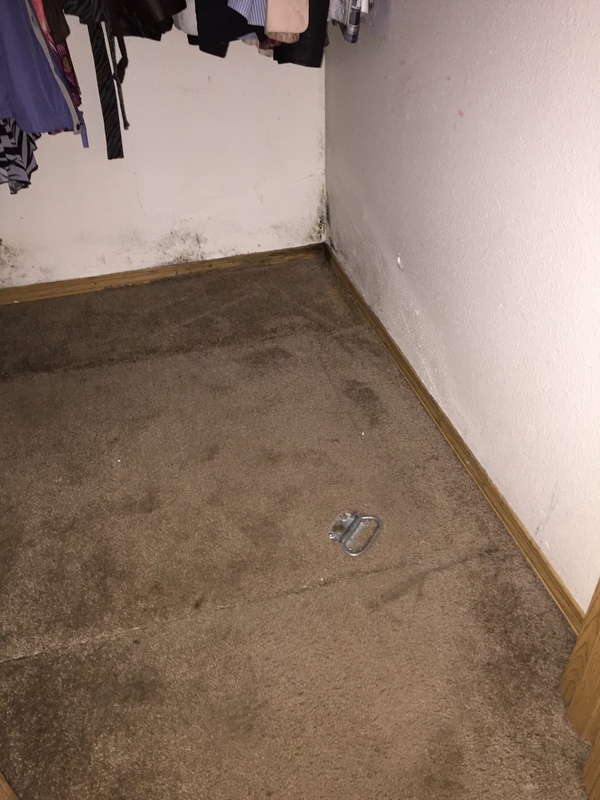 Wet carpet and drywall are prime spots for mold spores to grow and spread rapidly. Let your insurance know as soon as possible if you suspect any water damage in your home. 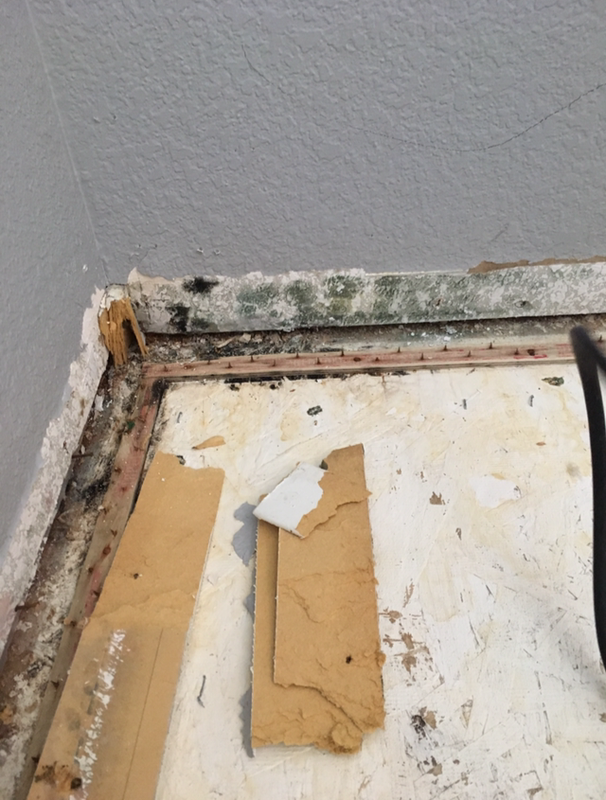 Water damage claims are the second most filed insurance claim in the United States. According to Arguello Hope & Associates, almost 40% of all homeowners have said that they have experienced loss from water damage. While it may be more common than we think, especially after the 2016 winter in Central Oregon, knowing what type of water damage can happen in our area is important to being proactive in preventing these types of losses. 93% of water damage can be prevented. Last winter brought tons of snow, ice and freezing temperatures. 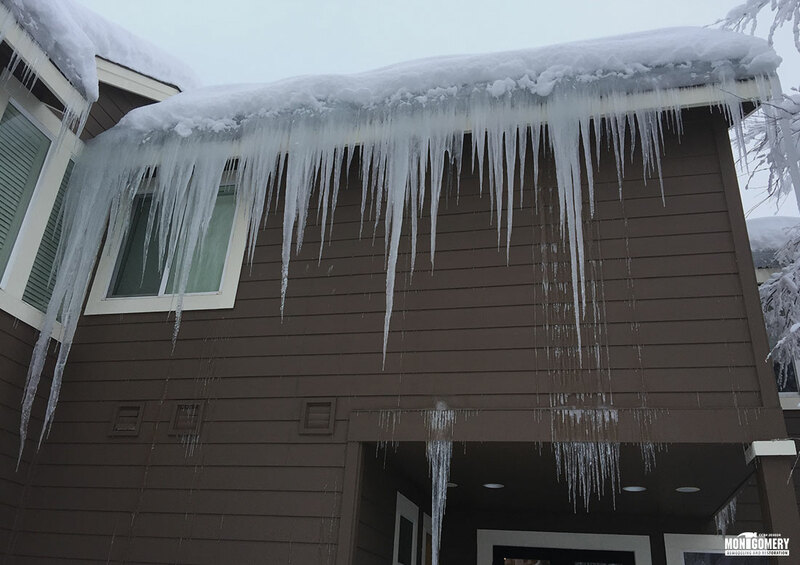 Because of this insane weather that we endured, many Central Oregon residents experienced frozen pipes and ice dams on their roofs. “An ice dam is a ridge of ice that forms at the edge of a roof and prevents melting snow (water) from draining off the roof. 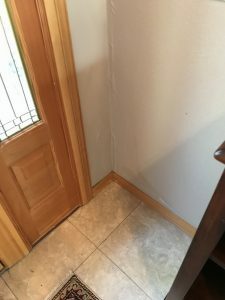 The water that backs up behind the dam can leak into a home and cause damage to walls, ceilings, insulation, and other areas.” An article by the University of Minnesota Extension, Housing Technology Department explains this phenomenon very well. 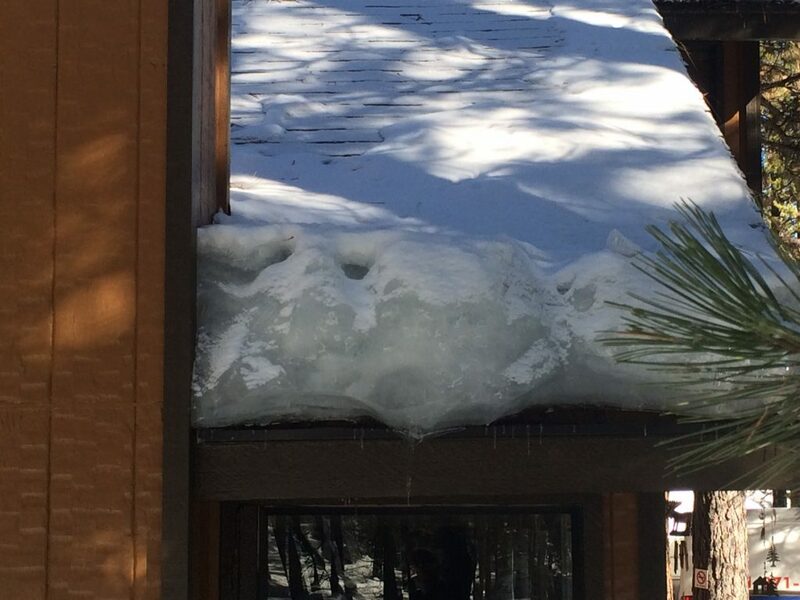 As the snow melt drips down towards the edge of the roof that isn’t warmed up, it can refreeze if temperatures are below 32 degrees Fahrenheit and creates a blockage. 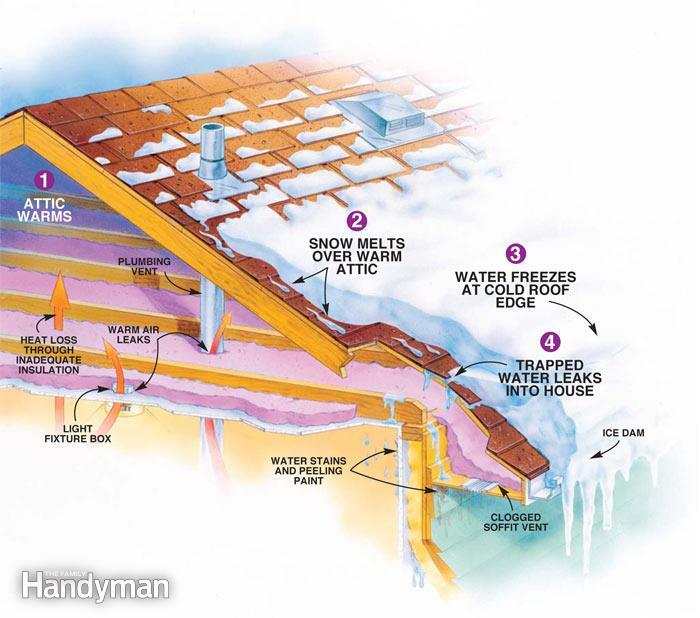 Usually the snow melting on the roof is created by an interior heat source warming the roof. Heat can escape through the ceiling and warm the attic, which then melts the snow on the roof directly above. You can prevent ice dams by controlling heat loss in your house. Start by removing snow from your roof as quickly and safely as possible. 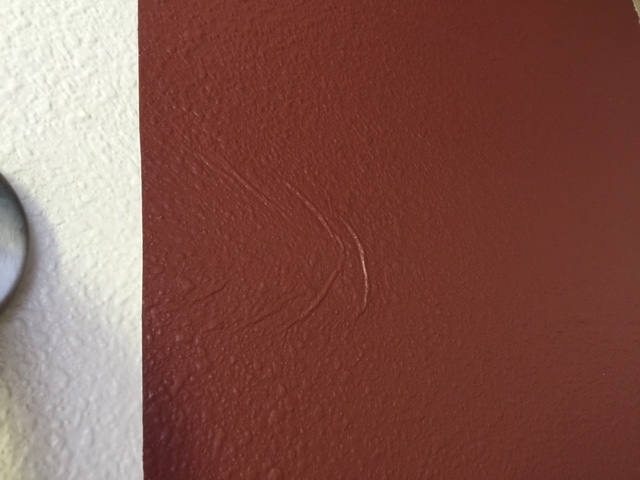 We highly recommend hiring licensed professionals for this work. If you are going to attempt to remove the snow yourself, make sure you have someone watching you and that you use the proper equipment, such as a roof rake or push broom, to carefully get rid of the snow and not damage your roof. It is also very important to maintain the insulation in your attic and/or ceiling. 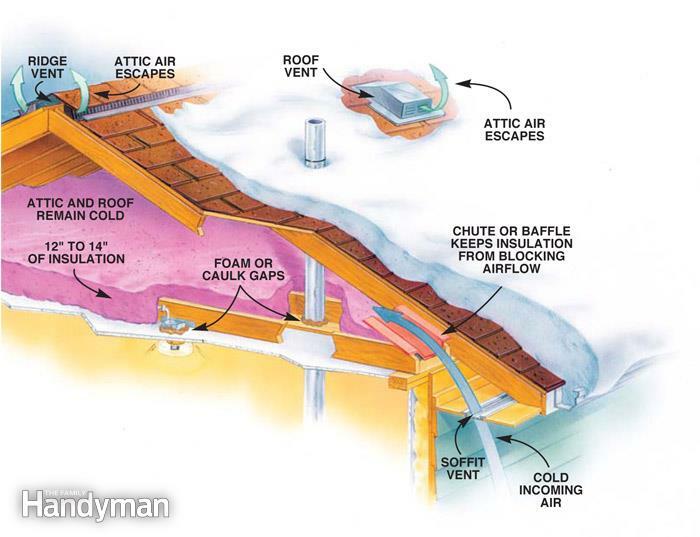 Increase insulation as necessary to make the ceiling air tight so warm air will not flow into the attic space. You should have no less than 12 inches of insulation in your attic. 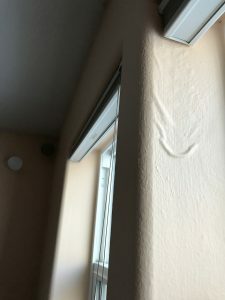 Plus, as a nice bonus, minimizing air leaks will save you energy and money on both your heating and air conditioning bills. 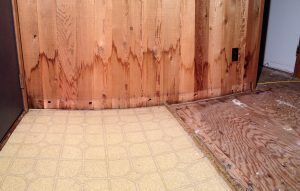 An insulated attic does not mean a warm attic, however. You’ll actually want to keep your attic and roof cool so that the snow on top does not melt. You can tell if your roof has warm spots by checking for areas where the snow has melted even though temperatures are still freezing outside. If applicable, make sure vents in your roof are not clogged or covered with insulation or other items. 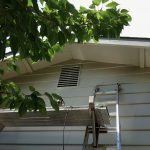 Consider having these vents added if your roof does not already include them. 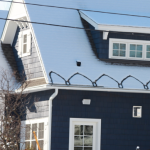 These vents draw in cold air and flush out the warm air that could potentially heat your roof and cause the snow to melt. 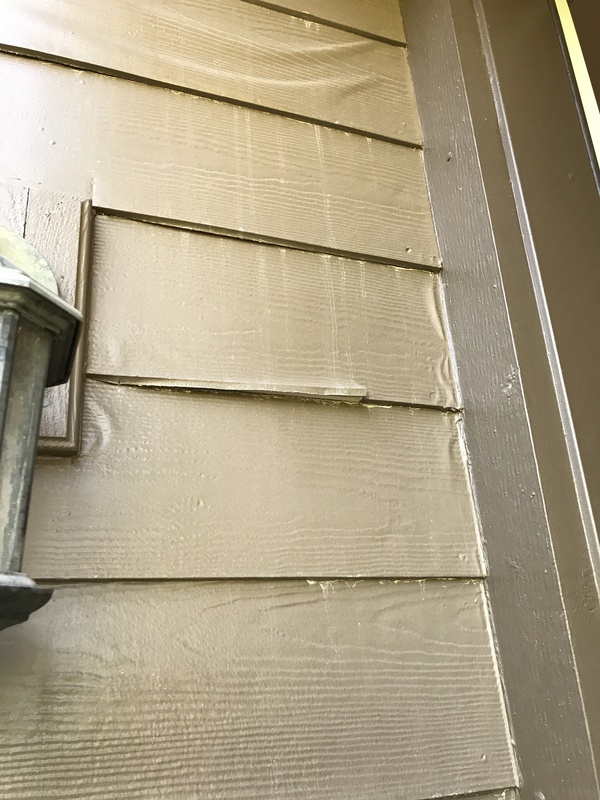 Another more permanent solution is to have heat cables, also known as heat tape, which “can be easily installed along the edges of roofs as well as in gutters and downspouts.” Our friends at Webfoot Painting Co. can install heat cables on your roof as a helpful prevention of ice dams. 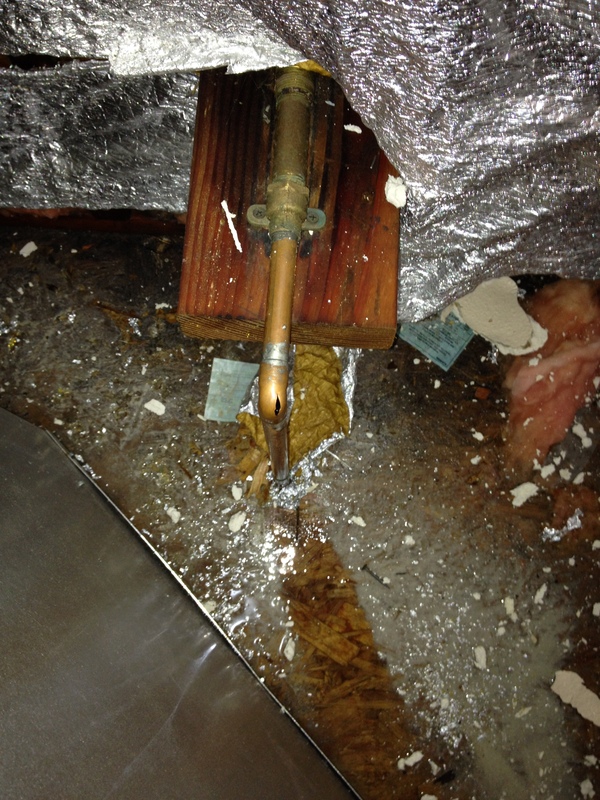 Broken and busted pipes are perhaps the greatest cause of water damage for a house. 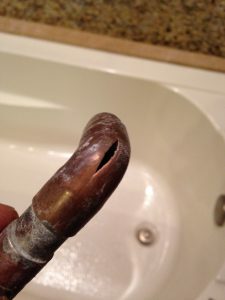 It’s important to be aware of your plumbing system especially as temperatures change. 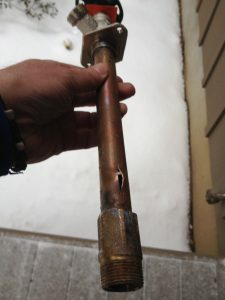 Broken pipes can be caused by water hammer (that clanking noise you hear when your pipes move harshly and suddenly), problems with water pressure or even corrosion. These issues may not just cause complications in the pipes themselves, but also the fixtures that are directly connected to these pipes. Be on the lookout for water leaking from faucets, toilets and other plumbing fixtures in your home. 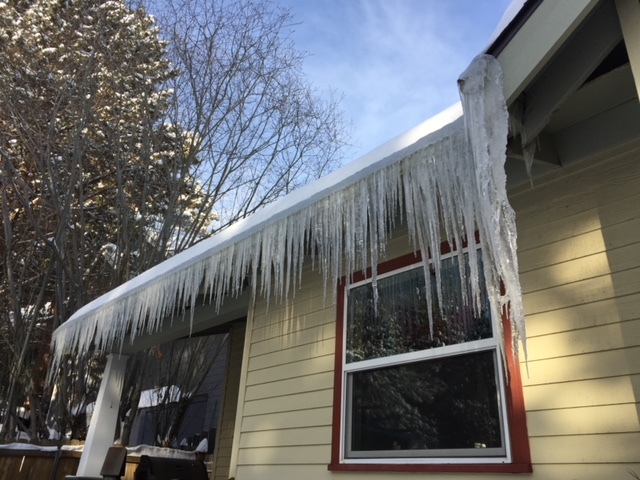 Frozen pipes are another great concern for Central Oregon residents as we often see subfreezing temperatures during the winter. Ice can expand the piping material and cause it to burst. Keep your home above 55 degrees Fahrenheit and add extra insulation to areas that are closer to exterior parts of the house. Kitchen sinks are a good example of this as they are usually placed on an outside wall. 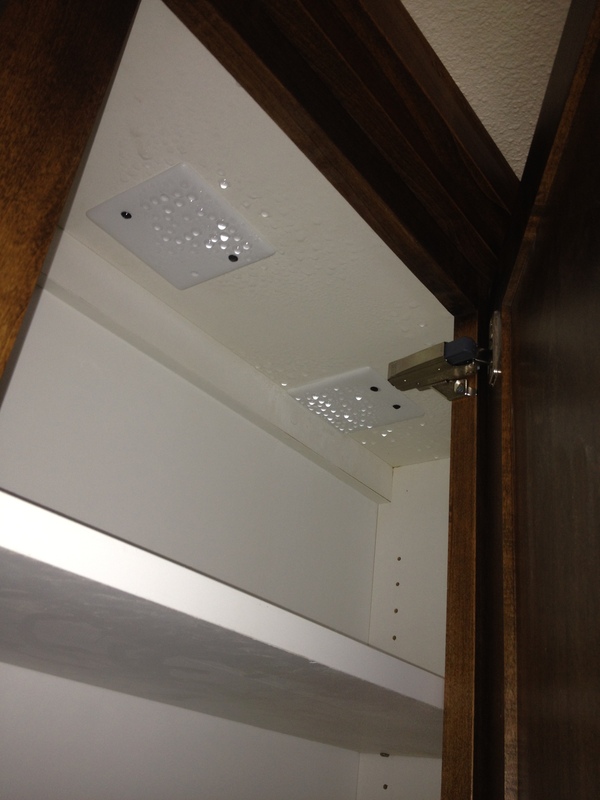 Leaving your cabinet doors open will allow the warm air from the house to keep the pipes from freezing. 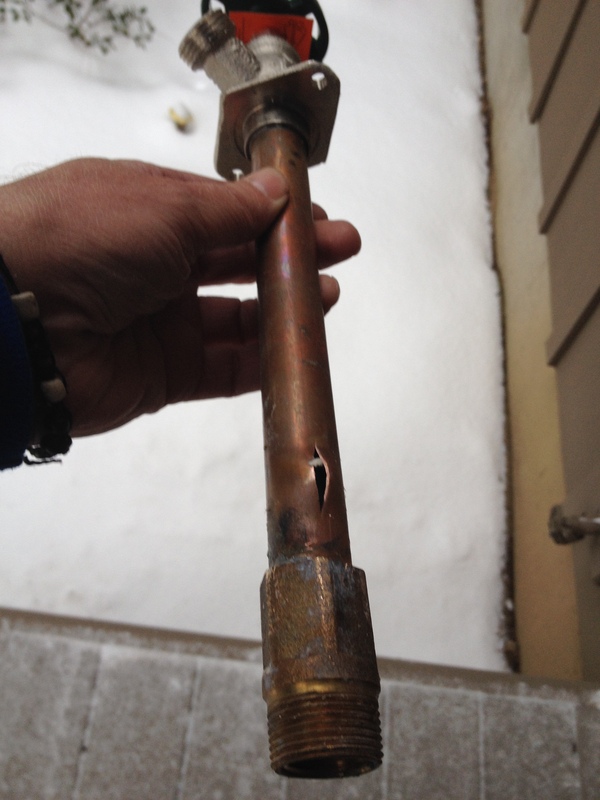 If it is extremely cold outside, you may want to keep your faucets running at a slow drip. The running water should prevent the pipes from freezing. 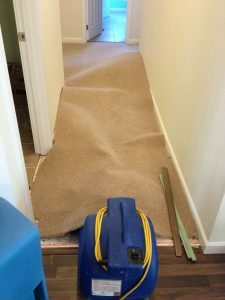 Once thawed, water will leak out of the busted pipes and end up in areas of your home that you don’t want it to be, such as the inside of your walls, under your carpet and dripping from your ceiling. If you suspect a leak in your pipes, call a licensed plumber right away. If any of these issues begin to occur in your home, call your insurance and file a claim as soon as possible. They will perform a loss assessment and evaluate the damage of the affected areas. You’ll then want to call a licensed restoration contractor (that’s us!) to come take a look at the damage. A water restoration project will begin with assessing your home for all damaged areas. If you choose to work with Montgomery Remodeling and Restoration, we have a specific plan of action we take for water restorations. We will set up a drying plan that we call the mitigation process. 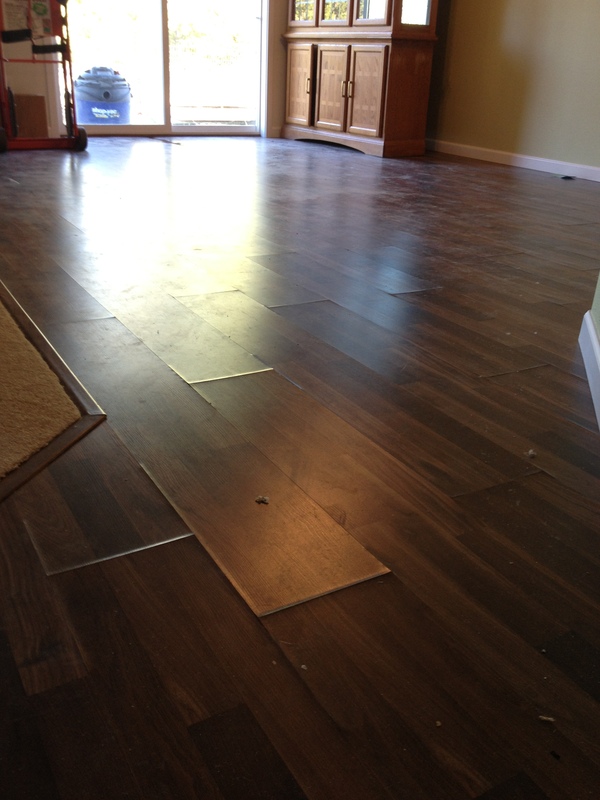 We will go in and remove all the damaged and non salvageable items. This could include drywall, window and door trim, baseboards, flooring and even cabinetry. After all wet items are removed, we will sanitize and deodorize the contaminated areas and materials in your house. 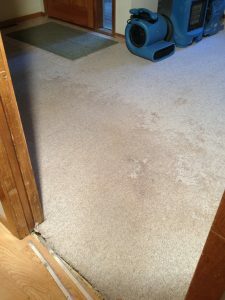 We always use an antimicrobial mixture that is sprayed to get rid of any bacterial growth that may have started. Equipment such as air movers and dehumidifiers will be left in the residence to dry out the water for about 3-5 days. 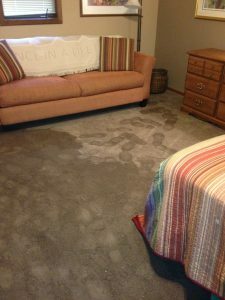 We’ll document this drying plan and when we feel that all damaged areas have been completely dried out, we can then write a repair estimate and establish a game plan to get your home back in one piece. 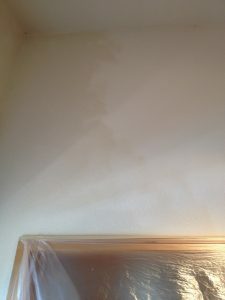 If you experience water damage in your home, it does not need to be a daunting process. 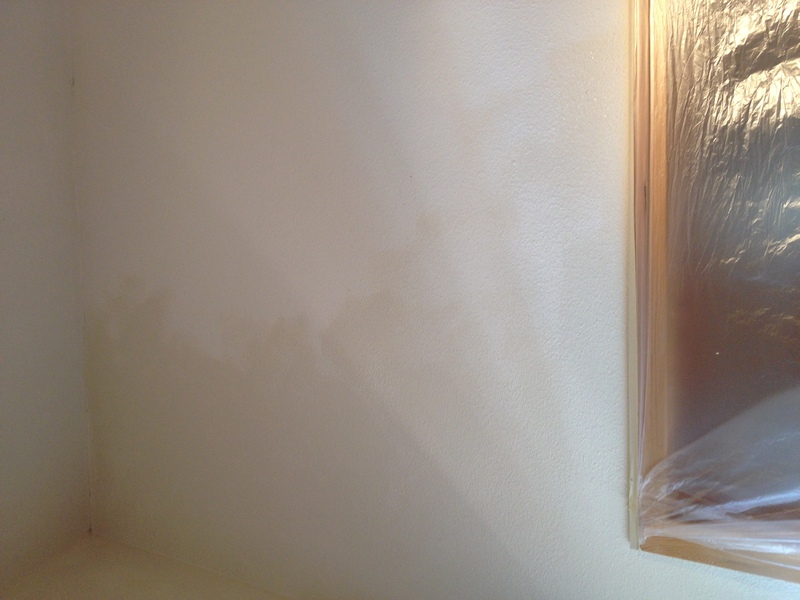 An experienced and knowledgeable restoration contractor will have no trouble assisting you in the repair process. Montgomery Remodeling and Restoration is a licensed and well-practiced insurance restoration specialist. 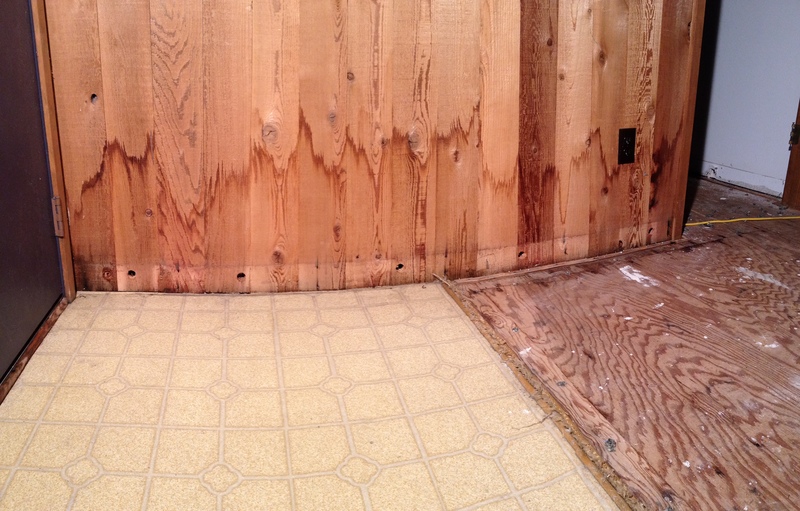 We’ve handled numerous water damage losses and have all the sources to get your home back to normal. With winter finally here, take the correct steps to keep your home safe. But if accidents do happen, we’re here to Make Places Better.